Entries are now open for the Summer Cup and Round 1 of the CDKC Club Championship. Enter via the KNSW entry and licence management portal click here to access. Some of the class names have changed but we will be running all the usual classes similar to last years format. Our members voted in full support of the changes for 2019, now we ask that you support those changes by coming to race at Lithgow Sunday February 17. The list of classes you can enter is large so we can offer anyone with a kart that complies the opportunity to race, on the day we will run the normal number of groups so we all have a great fun day and finish at a reasonable time. On line entries close Thursday night, but please enter as early as you can. Late entries (with late entry fee) will be accepted up to 4.00pm Saturday, but please enter early. 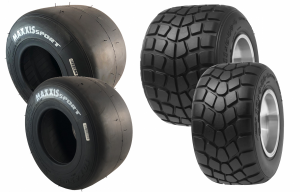 Don’t forget most classes will now be on the Maxxis Sport Tyre and the Dunlop KT12SLW2 wet tyre. The track will be open for practice Saturday 9.00am to 4.00pm. Sunday Drivers briefing is at 7.45am. Format will be Practice, separate qualifying, 3 heats and a final for all classes.